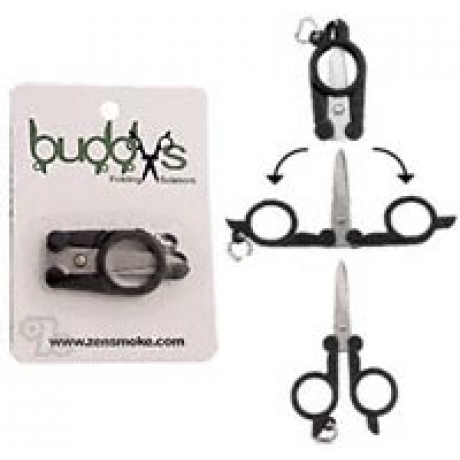 Lightweight scissors fit in your pocket when folded or on the keychain attachment. Made with fast cutting stainless steel blades and durable plastic handle. Perfect for all your cutting needs on the go. Compact, sturdy, sharp. These are just the right size, and super convenient for travel. They are very "on the go" and I was suprised how sharp they are. Good Product! Has a nice lil loop so you can put on keychain if you wanted too. Scissors fold so no sharp edges stick out and now smaller than inside palm of hand and super sharp!